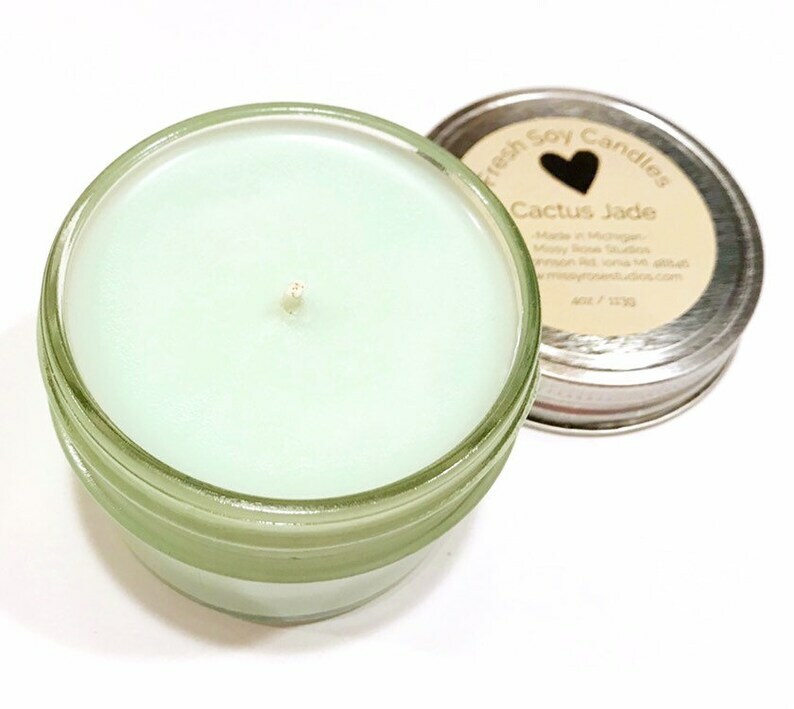 Richly scented cactus jade soy candles handmade in small batches make great backyard patio decor or simple home decor in living spaces. A newly developed scent, it is green/floral/light/fresh with a hint of sweet. Infused with natural essential oils, this fragrance is aloe meets agave. 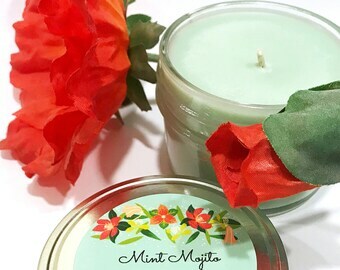 Made with eco friendly soy wax, these light green candles come in 4oz glass jars with metal screw on lids. Product label is on top lid and burning instructions and warning label are on the bottom of glass jar. Estimated total burn time of 30 hours per jar. Cotton core wick with metal tab. Scented with high quality fragrance oil and colored with soy wax chip. Do not burn unattended or leave in reach of children or pets. It is recommended that the wick be trimmed to 1/4” regularly between burns. Comes packaged in a cardboard box well packed for safe transit. Ready to ship item. Ships in 1-2 business days via first class mail normally unless otherwise specified on the site. 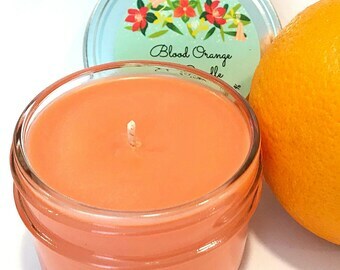 Please see other seasonal soy candles in our shop such as pineapple sage, lavender sage, citronella, blood orange, blueberry cheesecake, and more.